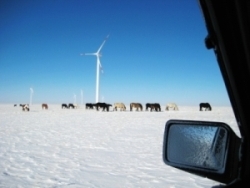 Pony power meets wind power in Inner Mongolia. 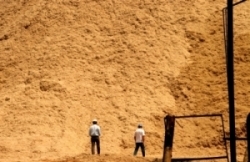 This mountain of bagasse, by-product from sugar manufacture, will be burned to generate electricity, displacing fossil-fuel used to generate electricity. The project is located in a small city, of about 20,000 people, in São Paulo State, Brazil. The project stimulates the company, Lucélia, to continue improving its business and investing in activities beyond its core business. 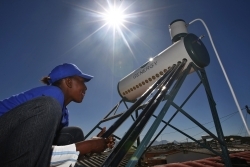 Project employees and local people are encouraged to improve their job qualifications in order to operate high tech equipment. 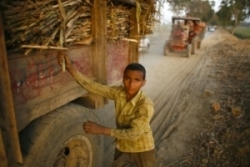 In this regard, the company is an important job creator and helps improve quality of life.